It is important to note that the head is clearly the main point of contact on this hit, and that the head contact on this hit was avoidable. While Trocheck is playing the puck, he does not materially change the position of his head or body just prior to contact in a way that contributes to the head being the main point of contact on this hit. If Lemieux wants to deliver this check, he must take an angle of approach that hits through Trocheck’s shoulder and core rather than picking his head and making it the main point of contact. Lemieux, 22, hasn’t faced any previous disciplinary action from the DoPS, but that’s not saying a lot considering his NHL career is just 18 games old. The 31st-overall pick from the 2014 draft, he was traded by the Buffalo Sabres as part of the Evander Kane deal several years ago and has racked up 328 penalty minutes in 125 AHL games. Though his physical play is encouraged and a big part of his game, there will be increased punishments by the league if he continues to engage in dangerous hits like this. Trocheck returned to the game and finished with 19 minutes of ice time, luckily escaping a major injury. The Panthers aren’t back in action until Thursday, giving him some extra time to recover from any ill effects. Lemieux meanwhile will miss at least a week, given that the Jets don’t play again until Friday. He will be eligible to return to the lineup on Wednesday, November 14th. Sunday: The Department of Player Safety announced that Lemieux’s hearing will take place Monday afternoon. Saturday: The Department of Player Safety announced that there will be a hearing for Winnipeg Jets forward Brendan Lemieux for his illegal check against Florida Panthers forward Vincent Trocheck Friday in the NHL Global Series in Finland. No time and date have been set yet. Lemieux clipped Trocheck directly in the head as he passed by him in the neutral zone (video here) during the second period of the game. Lemieux was given a match penalty, triggering an automatic review of the hit. Immediately after, Lemieux and Florida Panthers’ MacKenzie Weegar got into a fight with Lemieux ejected afterwards. Lemieux, the son of former NHLer Claude Lemieux, is still trying to find his scoring touch as he hasn’t posted a point so far in nine games this season and only has one NHL goal to his name, picked up last season. The 22-year-old was a second-round pick back in 2014 and accumulated 300 penalty minutes in two seasons in the AHL. 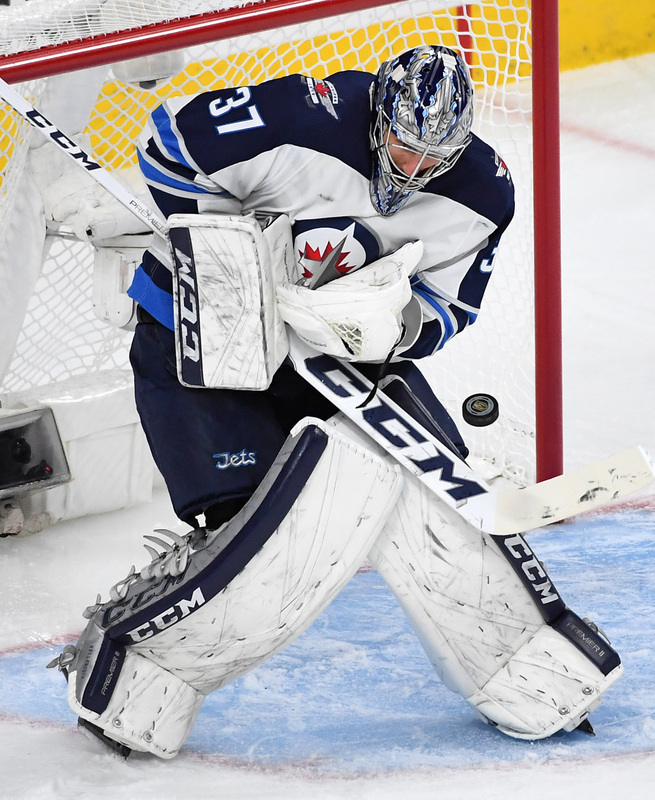 Two players were placed on waivers Sunday as Sportsnet’s Elliotte Friedman reports that Vancouver’s Alex Biega and Winnipeg’s Marko Dano have been placed on the waiver wire. Dano could be an interesting player for teams looking for a winger. The 23-year-old has been unable to grab a full-time role with the Jets over the last few years and now the 2013 first-rounder will be exposed to waivers and could be a legitimate candidate for a team to grab, albeit one who has struggled adjusting to the NHL. However, a new opportunity could change everything. Dano has played 130 NHL games over the course of his career, but just played in 23 last season, putting up two goals and an assist. In 82 games with the Jets, he’s posted 10 goals and 12 assists. 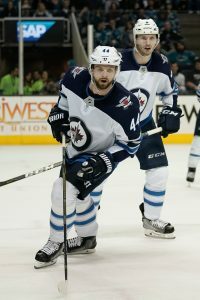 Dano may have been made expendable as Nic Petan is ready to return from the non-roster list, but that hasn’t happened yet. Ken Wiebe of the Winnipeg Sun speculates that Winnipeg attempted to trade Dano, but failed to find any takers. The team opted to put Dano on waivers rather than send Brendan Lemieux to the minors. Biega wasn’t much of a surprise as the team announced those intentions Saturday, but couldn’t put him on waivers until this morning. The team had to make room for forward Antoine Roussel and were forced to make a move, but used provision 16.12b in the CBA to make Biega a non-roster player until he could be waived. The 30-year-old defenseman has played the role of an emergency defenseman for Vancouver for a number of years as he’s appeared sporadically over the past three seasons, totaling 131 games in three seasons, while playing just 15 with the Utica Comets. Of special note is Stanley, who spent this season with the Kitchener Rangers of the OHL. The behemoth defenseman joined the Moose just recently, but didn’t get into a game with them. He’ll get a chance to see what his future holds, as Stanley is expected to make it to the NHL within the next few seasons. The first-round pick had an outstanding season after battling injury in 2016-17, and should be a fixture on the Moose blue line next year. Many of the other players called up already have experience at the NHL level, including Niku who made his debut this season. The seventh-round pick won the AHL Defenseman of the Year award as a rookie, after putting up 54 points in 76 games. The Jets, who already have one of the deepest defense corps in the league, are well stocked for the future.